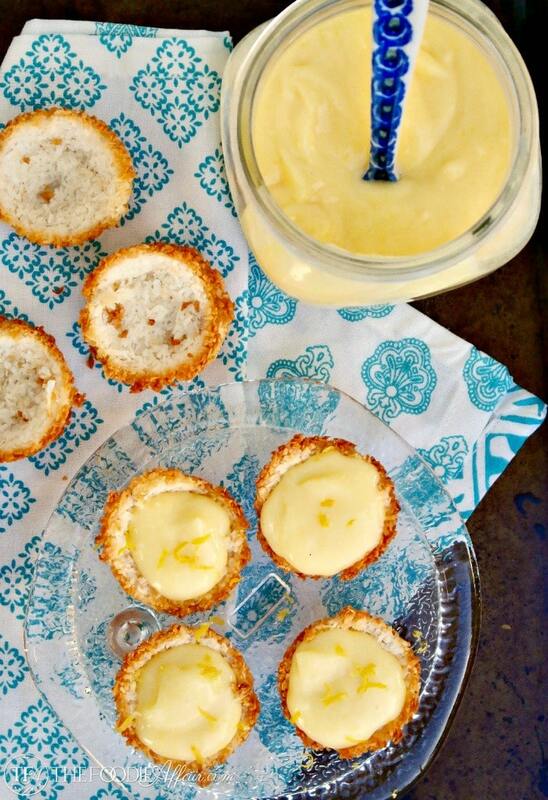 Delicious low carb lemon tartlets with a coconut shell and creamy sugar free lemon curd. 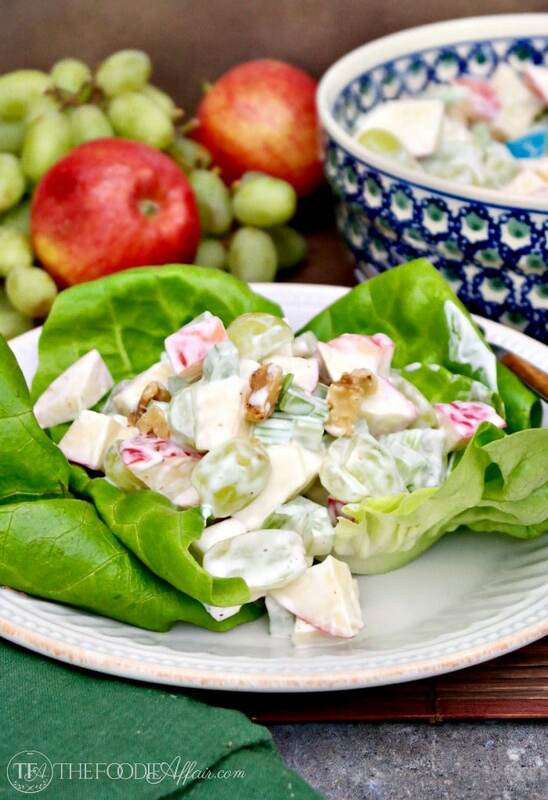 These delightful bites are delicious for any special occasion! 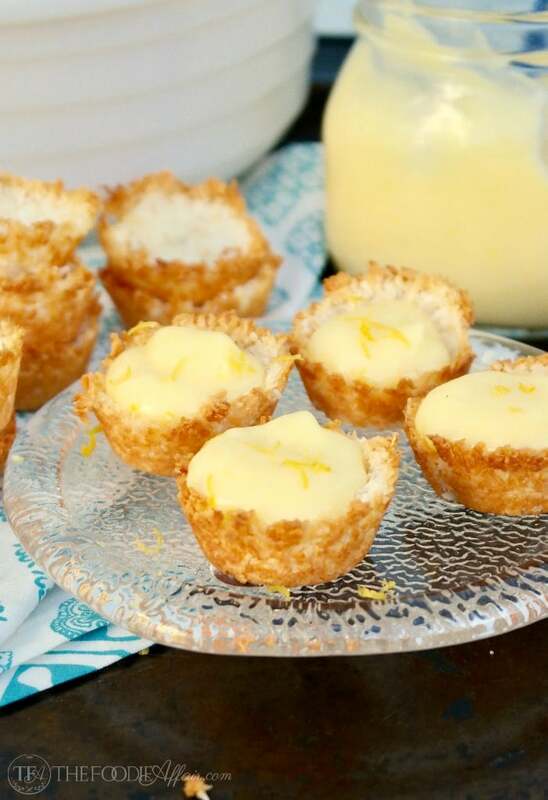 There are a bazillion ways you can use the sugar free lemon curd I shared with you last week, but one of my absolute favorite desserts to make are these bite size tartlets! 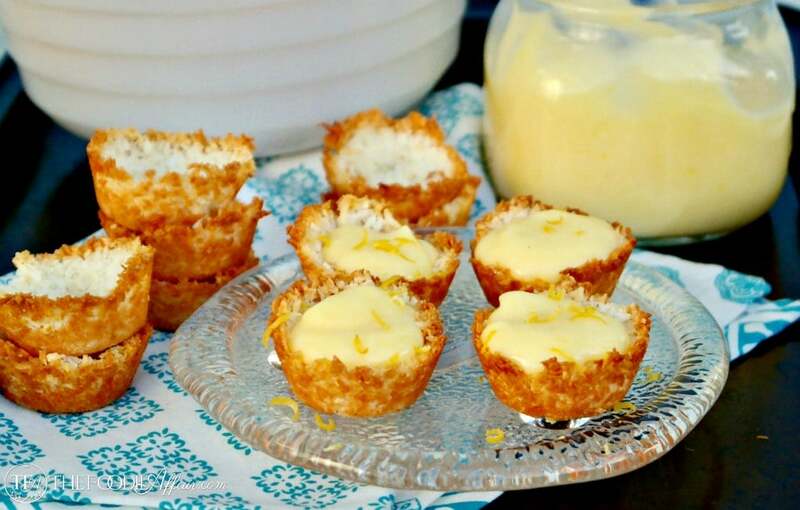 Delicious Low Carb Lemon Tartlets have been my go to dessert for special occasions for decades! 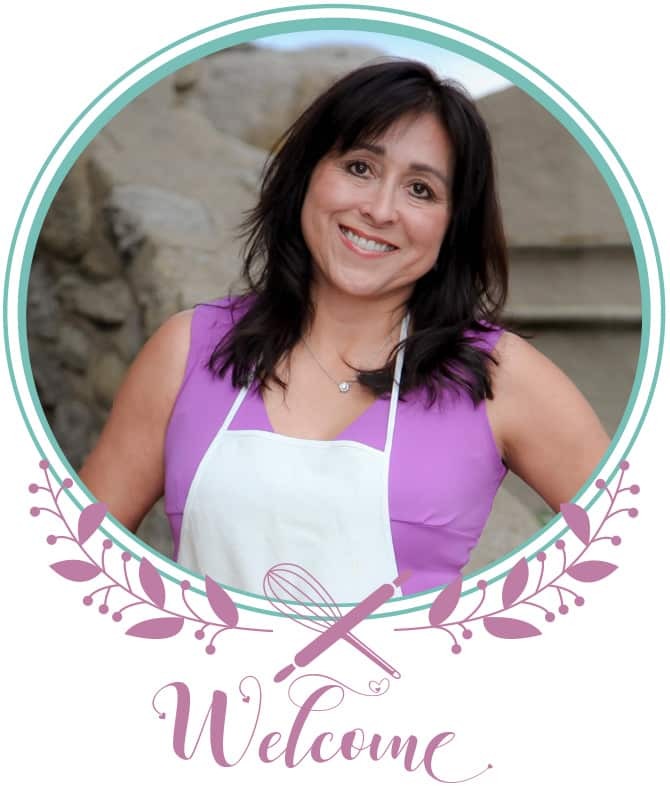 This recipe is from Cooking Light, my long-time cooking buddy! I started making these tartlets cuties in the 90’s. The decade when just about every weekend I was either attending or hosting a bridal or baby shower! I can can whip a couple of dozen of these up in no time and absolutely everyone loves them! The original recipe calls for flour, but I found that it really isn’t a necessary binder, so I leave it out. Instead, I add an extra egg white which holds the ingredients together beautifully! With that modification I was able to keep the carb count to one net carb per tartlet. These tartlets are also gluten-free! 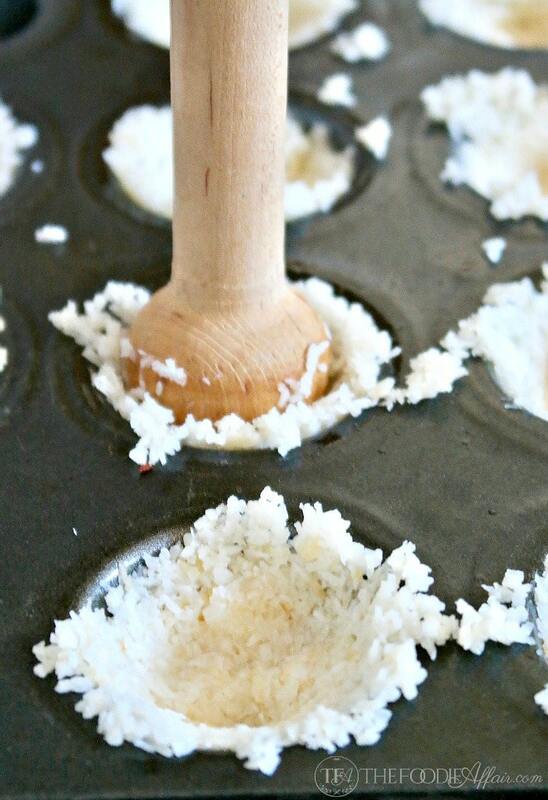 When you add add a little dollop of curd in the middle of these coconut shells your treat is still minimal! 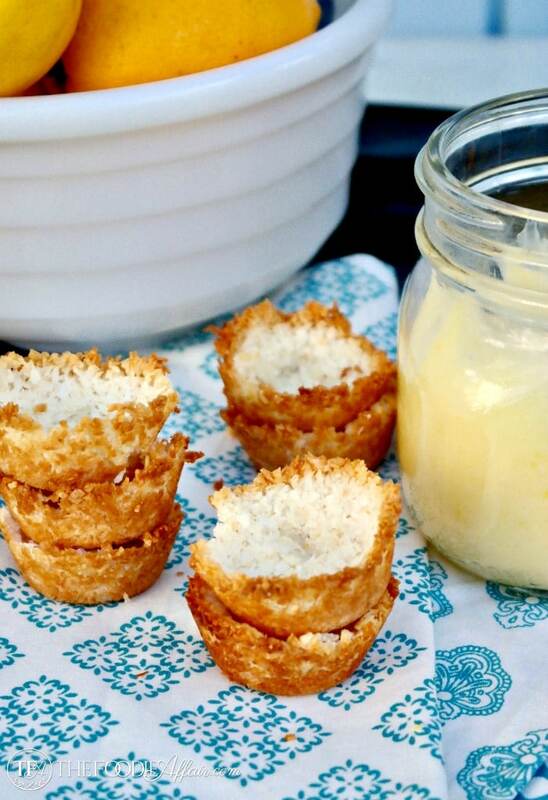 Keep these delightful tartlets in mind when you want a sweet little bite that’s simple to make. In fact, you can make the coconut shells in advance and store them in the freezer! Pre-heat oven to 350 degrees and grease mini muffin pan. Set aside. In a medium bowl mix together, coconut, egg whites, vanilla and sweetener until combined. Place 1 tablespoon in the pan and press down forming a shell. Bake for 10-12 minutes or until shells are set and lightly browned. Cool and remove from pan. Cool completely before adding curd.